The binary star η Cas is born. The star does not set below the horizon in Finland, and can thus be seen throughout the year. 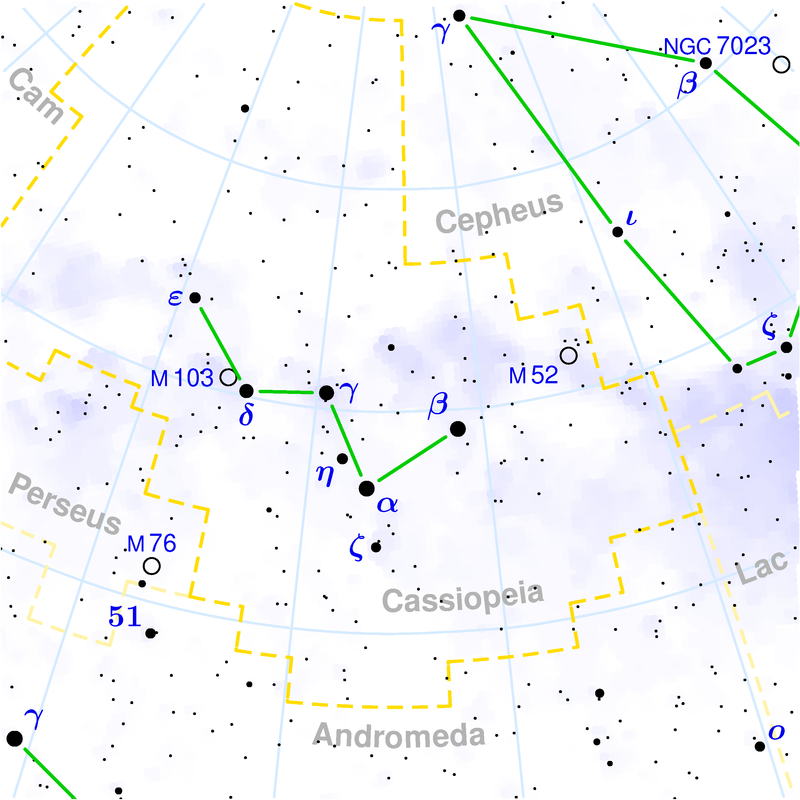 η Cas can be found in the middle-right of the W-shaped constellation of Cassiopeia. Binary stars are systems of stars, where two stars orbit around a common centre of mass. The period, or time that it takes to orbit around the centre of mass, depends on the distance between the stars. The closer they are to each other, the faster they orbit. The orbital period can range from hours to years. In the case of ŋ Cas, the stars are separated by 71 astronomical units (AU), and orbit around each other in about 480 years. One AU is the distance from the Sun to the Earth. At least half of the stars belong in binary or multiple star systems. If two stars are born close enough to each other, their mutual gravity forces them to orbit each other in a binary star system. The other way to form binary stars is gravitational capture. This can be the case where the density of stars is large, as in globular clusters. In this situation, stars pass close to each other, and the surrounding stars disrupt the passing one enough to cause the two stars to be captured into the same gravity system. Many stars in the night time sky seem to be next to each other. In many cases, these stars are not real binary stars: They just happen to be nearly at the same direction as viewed from Earth. Most of the time, they are many light years apart. 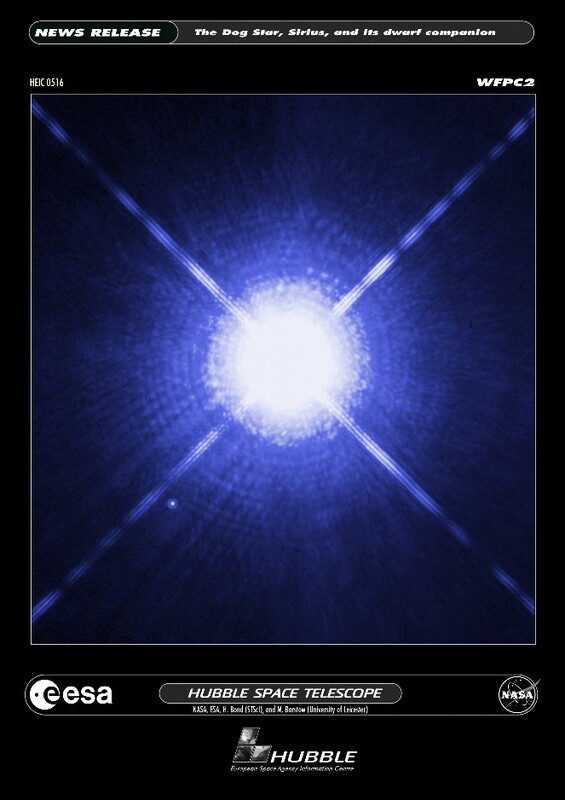 Binary stars make it possible to weigh stars. The measurement is based on long-term series of photographs, changes in the brightness of stars and spectrographic measurements. With these parameters the orbits, and the masses of the stars can be determined. Binary system can be made up of quite different kinds of stars, which can actively interact with each others. 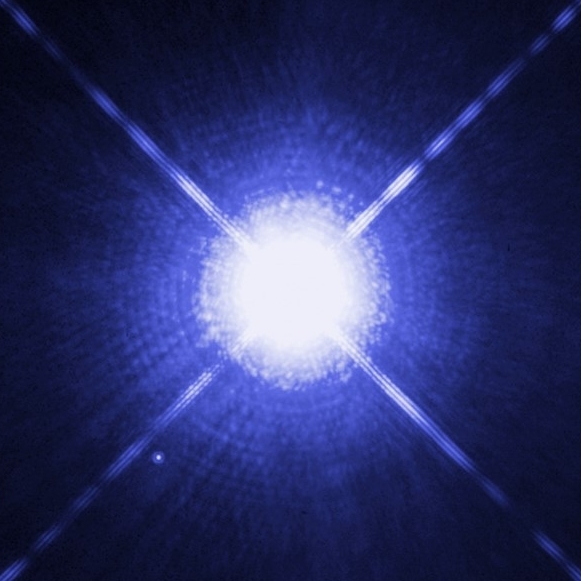 Interacting binaries can have one component that is at the end of its life and has already become a compact object, such as a white dwarf, neutron star or black hole. When stars are close enough to each other, the compact object can ’eat’ material from the normal companion star. The transfer of material creates an accretion disc around the compact object. Black holes cannot be directly observed, but can be studied indirectly by observing them through their accretion discs. Interacting binary stars can be thus used as models to study black holes.